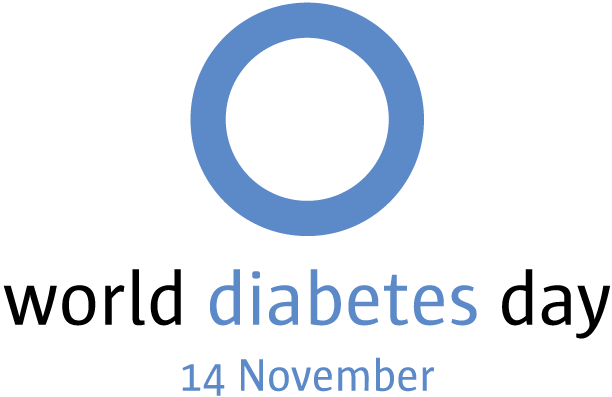 Wednesday the 14th of November is World Diabetes day. It was first created in 1991 by the IDF (International Diabetes Federation) and the World Health organisation. The United Nations made it an official day in 2006. It was established in response to the health threat by diabetes internationally. •	Helps IDF promote campaigns throughout the year. •	Promote the steps that internationally we need to take to tackle diabetes as a global health issue. Diabetes is a term we hear all the time and something that many people have may come across personally. It is a disease that occurs when your blood glucose (blood sugar) is too high. Over time the body cannot produce enough insulin to prevent the glucose staying in your blood and unable to reach the cells, health problems can arise. Diabetes has no real cure although it can be helped by living a healthy lifestyle through diet and exercise. How can we prevent Diabetes to improve workplace wellness? 1. Try cut sugar and redefined carbs. Eating foods that contain a high sugar level and refined carbs can fast track you to having diabetes as the body breaks these foods down and is absorbed into your bloodstream. Within your workplace, encourage higher fibre foods to maximise corporate and employee wellness and keep your staff healthy. Exercise increases the insulin in your body so when you exercise less insulin is required to keep your blood sugars down. Within your workplace, why not implement some regular exercise throughout the week and ensure your employees wellbeing is being looked after. Sugary beverages are highly linked to type two diabetes and latent autoimmune diabetes of adult. Water is by far the most natural drink and by consuming this, a lot of sugary alternatives are eliminated. Ensure your water cooler is maintained and your staff aren’t tempted by the vending machine. Your staff must be sleeping well to perform as well as to prevent diabetes, employee wellbeing is very much depended on sleep quality. Sleep deprivation and poor sleep are linked with the chances of increasing diabetes. The body reaction to sleep can resemble insulin resistance and can change how our bodies will create insulin. Many forms of diabetes are highly linked with obesity, by promoting a healthy body image among your workplace, your employee wellbeing will be higher, which will be seen through less absent days and increase in productivity levels. Excess visceral fat promotes inflammation and insulin resistance, which significantly increase the risk of diabetes. One study of more than 1,000 people with pre-diabetes found that for every kilogram (2.2 lbs) of weight participants lost, their risk of diabetes reduced by 16%, up to a maximum reduction of 96%. Portion sizes can be linked with being overweight. Eating too much food at one time has been shown to cause higher blood sugar and insulin levels in people at risk of diabetes. Although portion sizes that are too small may prevent insulin also. Keep this in mind when arranging company lunches or social events. A healthy portion size will maintain your employee’s health. The average BMI of people is increasing year on year which is highly linked with Diabetes. Diabetes can have a huge impact on individuals lives, daily insulin injections and measuring what is consumed. Living by simple steps such as these and adapting a healthy lifestyle, the body can produce insulin levels that will give the best chance at preventing diabetes. By promoting these within the workplace, your employee’s overall happiness and wellbeing along with their health will be improved. This will not only make a happier workplace but will also be more productive.